On a wall in a flat in Maida Vale hangs this small photograph. It is a window into a world of social unrest, poverty, espionage and insurrection. The photograph and the story behind it add weight to the view that there is often little truth in photography. What we see is what the photographer wants us to see. I saw the photograph when I visited the late photographer Wolfgang Suschitzky for an interview and portrait session in 2016. 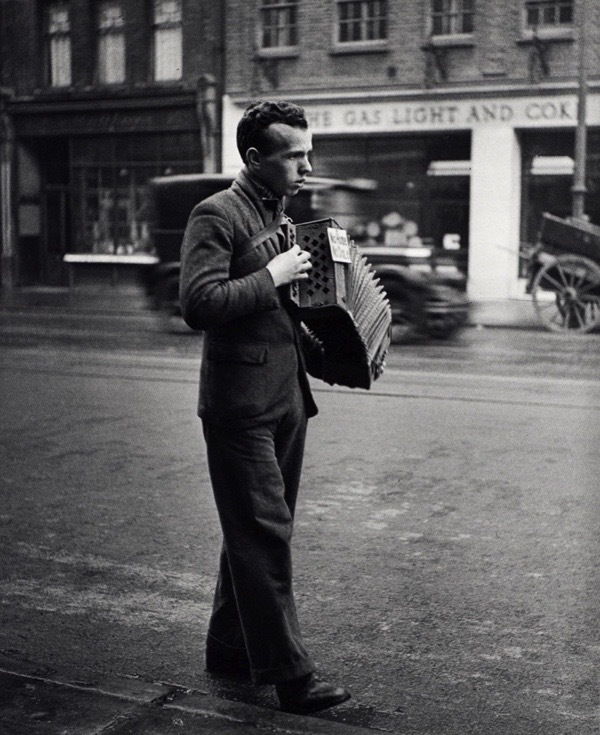 It was not taken by him, but by his sister Edith Tudor-Hart (1908–1973). The picture had pride of place on a wall of well-known photographs just inside the entrance. Edith Tudor-Hart was one of the most talented documentary photographers of her time, but has now faded into obscurity after being being blacklisted for her Communist activity. For me, it is one of the strongest photographs of its era. One of those pictures that all photographers hope to be able to capture one day. Its ability to tug the heartstrings and generate strong emotion remains even eighty years after it was taken. 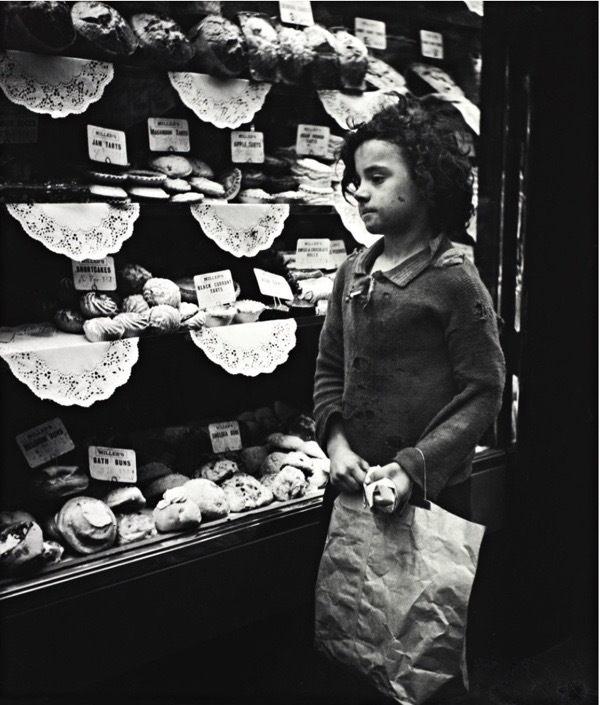 On face value, it is a photograph of a poor child staring into a bakery window in Whitechapel in 1935. The disparity between the hungry child and the plentiful display has an enduring poignancy, inspiring a futile desire to intervene. This photograph was first published next to another of a baby chimp in a zoo, which was much better fed than this girl. The message was clear, as was Edith’s ability to use her camera as a weapon for social justice. The picture was subsequently reproduced widely in Communist leaflets, representing a call to action. Yet to grasp the nature of this phenomenon and understand the other photographs that Edith took of the East End, we need to appreciate both the social context and her personal motives. None of the photographs that she took at that time can be taken at face value. There is no doubt that this photograph was staged – the bundle clutched tightly in the girl’s left hand is evidence of that. We shall never know who the girl was or how she became to the subject. Edith destroyed her photographic records in 1951 for fear of prosecution, so the background to most of her work is now lost. 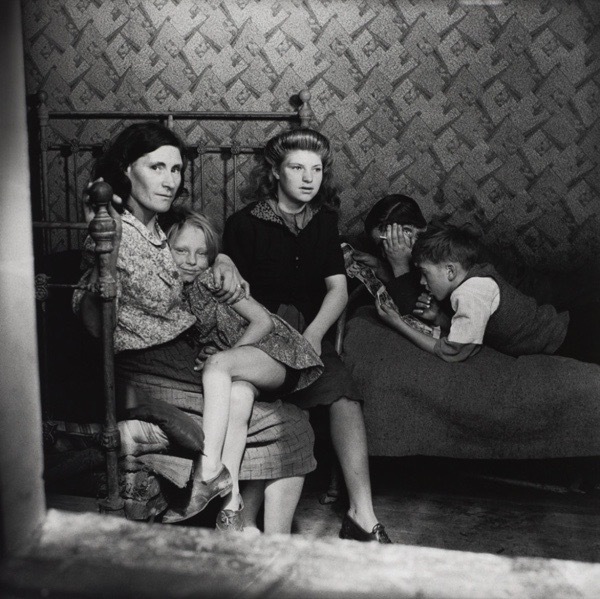 She used photography to highlight social inequality and deprivation, realising early on – while studying at the Bauhaus – that photographs have the power to alter people’s beliefs and change the world. In her time, photography had become a medium for social change, ideal for the promotion of political views to a large audience, affecting them through the impact of the visual image more powerfully than by the written word. Edith was acutely aware of the potential to use photography to break down social barriers and influence an audience like never before. For her, photography represented a move of the locus of control into the hands of the people, offering the possibility of self-representation for everyone. She understood that those who press the camera shutter can control the story that a picture tells. 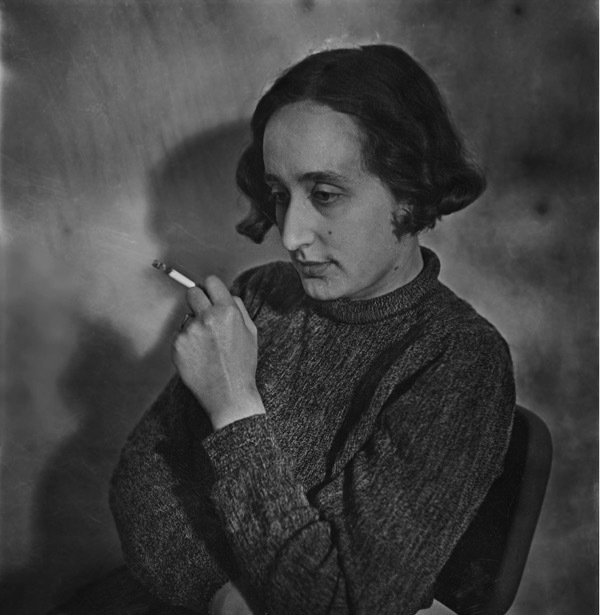 As well as being an accomplished photographer, Edith was also a committed Communist and a Soviet agent who used her power to further her hidden agenda. Born in Vienna in 1908, she had grown up during a period of unprecedented political and social upheaval which shaped her beliefs. Her radical views are probably best summed up in Das Eland Wiens by the Marxist writer Bruno Frei, which attacks the inequality of capitalism and demands a commitment to revolutionary activism and change. Unusually, the book contained photographs and this was probably a decisive influence in Edith’s choice to become a photographer. Edith’s father ran a Socialist bookshop which stocked Bruno Frei’s work and she mixed in radical Jewish circles in Vienna. In 1927, she trained as a Montessori teacher in England until she was deported to Austria in 1931 after being photographed at a Communist rally. Once in Austria again, she worked as a photojournalist for the Soviet news agency TASS, but in 1933 she was arrested there, again for being a Communist activist. At this point, Edith fled from Austria with her husband and was exiled in England. Back in England, she continued her affiliation with the Communist party, both as an activist and a Soviet agent. It is likely that she had been recruited by the NKVD (the predecessor to the KGB) as early as 1927. Edith is often portrayed as a low-level agent yet she spotted and recruited Kim Philby. He was one of the Cambridge spy ring with Anthony Blunt, Guy Burgess and Donald Maclean, who caused damage to British interests and threatened its intelligence relationship with America during the Cold War. Edith knew Kim Philby’s wife Litzi Friedmann and was the one who introduced Philby to Arnold Deutsch, the Soviet Agent who managed the Cambridge spy ring. Her recruitment of Kim Philby was a seminal moment in her espionage activities. In 1964, Anthony Blunt described Edith in his confession as being ‘the grandmother of us all.’ Yet, although she continued to be monitored by the security services until her death in 1973, she was never prosecuted for spying due to lack of evidence. Daisy, daisy, who shall it be? 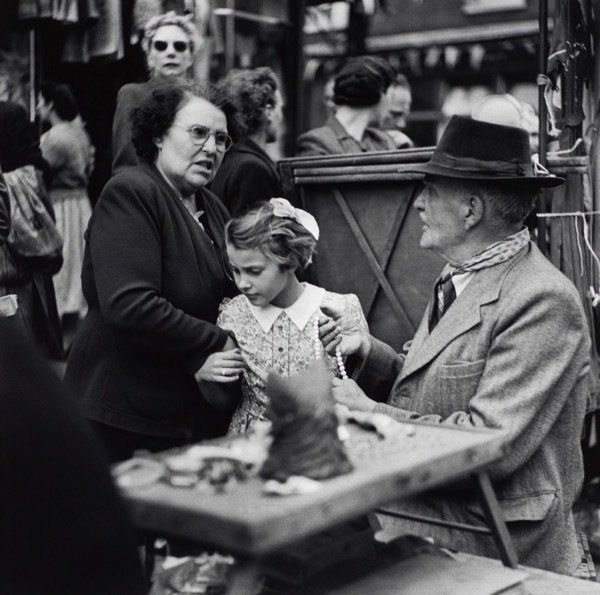 The ambition of the book was to highlight the contrast between rich and poor in British society and it would have featured her photographs of the East End, together with a series she took of mining communities in Wales. 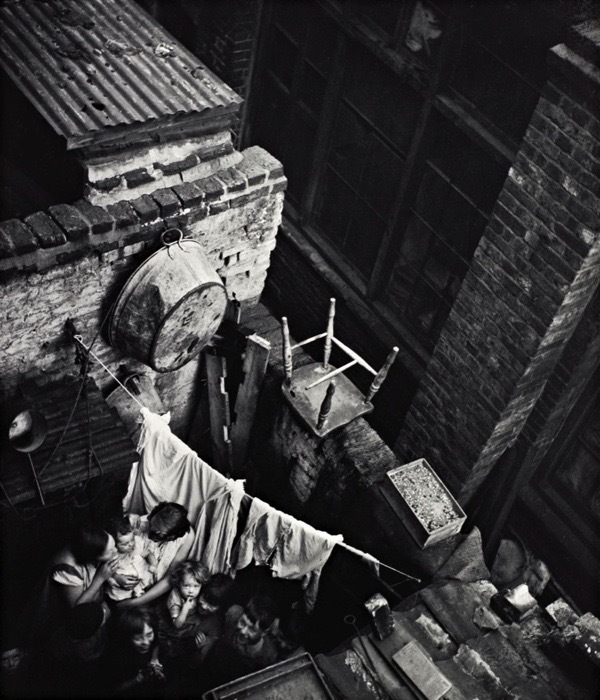 The shocking juxtaposition of her ‘Poodle Parlour’ photograph with the picture of the Clerkenwell slums at Gee Street in Lilliput in 1939 demonstrated he power of her approach. However, the book was never published. 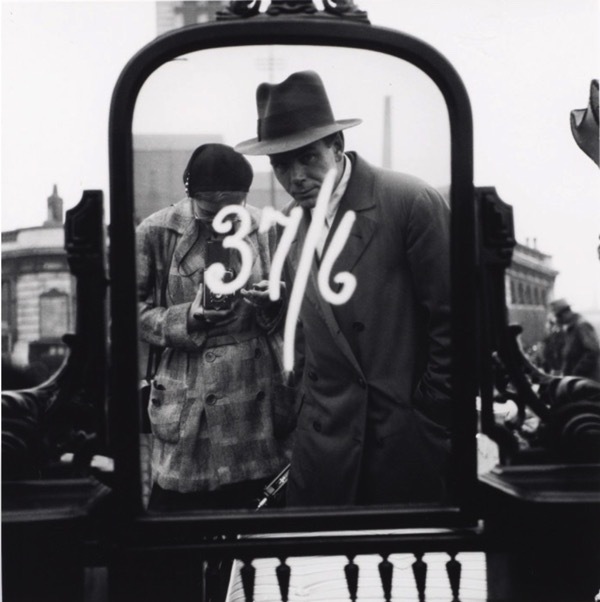 Eventually, the difficulty of being a woman photographer as well as being blacklisted for her Soviet connections led Edith to abandon photography altogether at the end of the fifties. Some of the images that were intended for this book are incredibly powerful and reveal the nature of her talent as a photographer. Her method included talking to her subjects instead of photographing them from a distance and she showed a real ability for putting people at their ease. Bakery Window was to have been the cover photograph of Rich Man, Poor Man and what a book it might have been. Today it lies unconstructed among the negatives of her photographic archives held by the National Gallery of Scotland which were given to them by her brother Wolfgang in 2004. 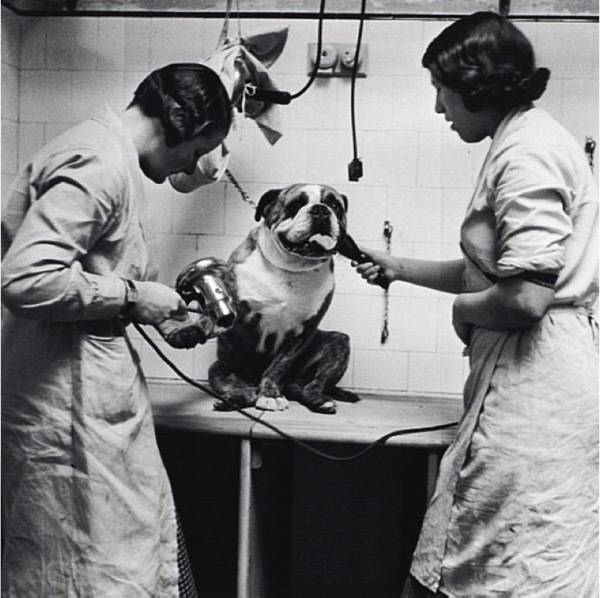 Absorbing photos – ‘in total darkness’ hits home brutally when juxtaposed with ‘poodle parlour’. And, of course social conditions were so much better in the Soviet Union under Stalin, weren’t they? The photographs are good, but so is/are Roman Catholic christian devotional art. Brilliant piece and a reminder that it wasn’t only posh boys from Cambridge who got involved in espionage. At least Edith and Litzi had proper credentials for being communists. Edith’s photographs are wonderful and should have more exposure (pardon the pun). I think you’re being a little harsh on her. Yes, British Communists were naïve in the extreme to imagine that Stalinism would work for Britain, but it would have taken a heart of stone and blind eyes to conclude that conditions here in the early ‘thirties represented a triumph of liberal democracy and capitalism. Add in also the real fear that our leaders were ignoring or even pandering to fascism, and you can see – well, I can – how some people managed to fool themselves that the Soviet Union held the answers. Some – a very few – were indeed traitors; most, I suspect, simply wanted a more just society. Edith Tudor-Hart has absolutely NOT faded into obscurity after being being blacklisted for her Communist activity…I’m afraid you did not research your story well. Mr Tingey: in a sense all art serves an end, and that end, being driven by the beliefs of the creator, is, effectively a form of propaganda. And in criticising it you simply state that you don’t support the viewpoint of the artist, which is not a remark of great importance. It is not a way of refuting the fact that capitalism destroyed the lives of huge numbers of people in the 20s and 30s, very much as it is doing across London today. It is curious how these photographs are being eulogised as if they are important social documents. There are many far better examples than these. Of course conditions were terrible for many people in London and many other cities, but nobody was taken away to Gulags or simply disappeared, never to be seen again, as was the case for many millions in the Soviet Union. I have never understood how people like Edith Tudor Hart took it upon themselves to depict this country in such a terrible light, whilst believing the USSR to be a Utopian paradise, where everyone was free to do as they pleased whilst cared for from cradle to grave by a benign and generous state. The Cambridge spying ring, which she was instrumental in setting up, was composed of pathetic, bitter men who thought their activities were heroic. Burgess and Mclean were hopeless drunks, despised by the Russian KGB agents who controlled them; Philby was useless philanderer and drunk whose raison d’etre seemed to be that he was part of the British Governing class (his own description) and therefore, exempt from the normal rules that apply to the great unwashed. He was also never trusted by the Russians and spent his years in Moscow sitting in his top floor apartment near Patriarchy Pond, listening to the BBC World Service and becoming ever more bitter about the nation he chose to betray, much to the amusement of the Russians. Blunt was even worse. A patrician snob whose fist reaction to being unmasked was to worry about his loss of face and his knighthood. He was protected by the establishment for years until Mrs Thatcher revealed his treachery in 1979, after Private Eye magazine got wind of his activities and threatened to publish the story. All of this is well known. What isn’t so well known is just how much damage these pathetic traitors did to this country and our allies by passing secrets to the Soviet Union. It is quite likely that without their duplicity and treachery, along with the utter stupidity of our own intelligence service, who couldn’t bring themselves to believe that people of their own class could possibly be in league with the Soviet Union, that the Iron Curtain may never have descended across Europe. These foolish ideologues knew very little about the harsh reality of life in the Soviet Union, where queues for food were a daily occurrence and fear was the culture experienced by the people, preferring to believe in the propaganda of middle class Marxists, much like the chattering classes of Hampstead and Highgate who read the Guardian today. They never understood Russia or Russians and today they are almost forgotten men who are regarded as pathetic dupes by Russians who don’t care much for traitors. There is a book of Edith’s photographs, which is a catalogue from an exhibition of her work in Vienna. Thank you for these superb photos. Love to have met the Edith she’s very interesting. More of why I subscribe to your great publication. Fascinating piece and great photographs. 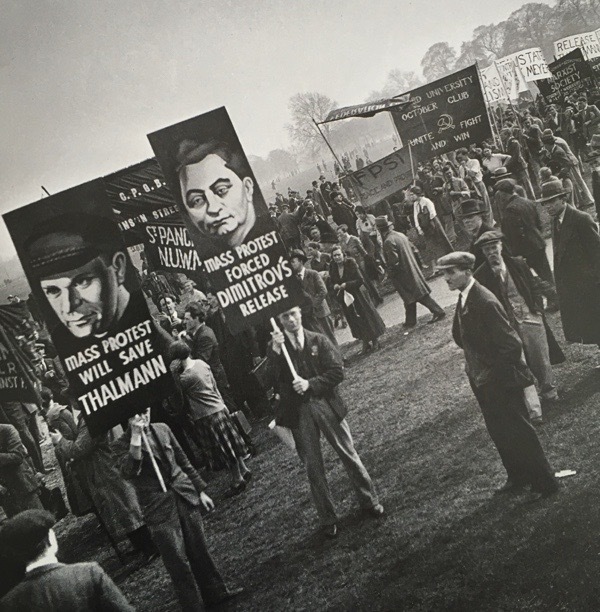 The whole Austro Hungarian influence on British photojournalism through Stefan Lorant and Lilliput in the late thirties is super interesting. The first picture editor of the Observer was a woman called Mechthild Nawiasky, who was born in Prague, and was working at Lilliput with Lorant before joining the paper. I like to think her and Edith must have been mates. I researched and wrote a piece about Nawiasky for the Obs. In it is a link to a 1959 Spectator article recalling the goings on, and colourful characters, in the early days of Lilliput; if you’re interested. 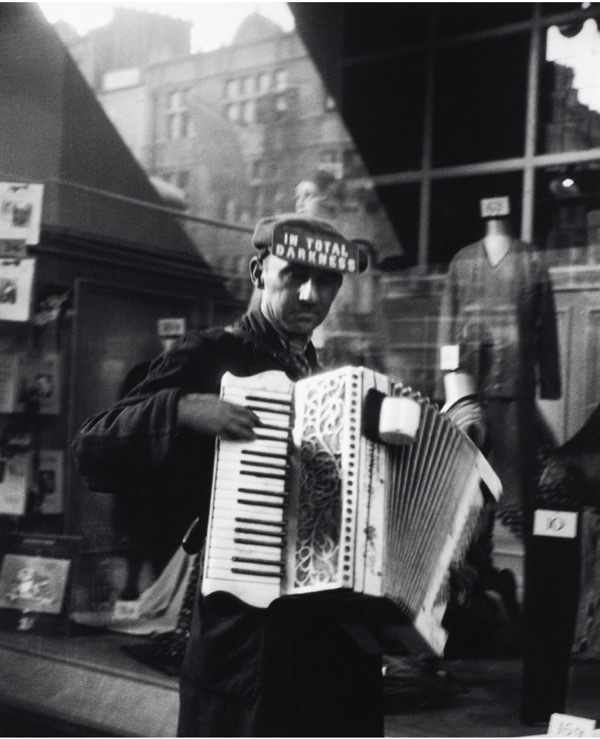 How was such an openly Communist photographer like Edith Tudor-Hart an effective Soviet agent? I would have loved to have had Edith as a grandmother.